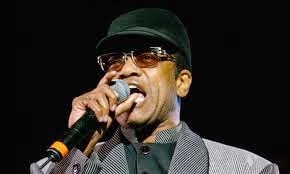 Bobby Womack, the legendary soul singer whose career spanned seven decades, died Friday at age 70. The cause of death is currently unknown. The son of two musicians, Womack began his career as a member of Curtis Womack and the Womack Brothers with his siblings Curtis, Harry, Cecil and Friendly Jr. After Sam Cooke signed the group to his SAR Records in 1960, they released a handful of gospel singles before changing their name to the Valentinos and earning success with a more secular, soul- and pop-influenced sound. In 1964, one month after the Valentinos released their hit "It's All Over Now," the Rolling Stones put out their version, which went to Number One on the U.K. singles charts. Three months after the death of Cooke in 1964, Womack married Cooke's widow, Barbara Campbell, and the Valentinos disbanded after the collapse of SAR Records. After leaving the group, Womack became a session musician, playing guitar on several albums, including Aretha Franklin's landmark Lady Soul, before releasing his debut album, Fly Me to the Moon, in 1968. A string of successful R&B albums would follow, including Understanding and Across 110th Street, both released in 1972, 1973's Facts of Life and 1974's Lookin for a Love Again. Womack was inducted into the Rock and Roll Hall of Fame in 2009. "My very first thought was — I wish I could call Sam Cooke and share this moment with him," Womack said. "This is just about as exciting to me as being able to see Barack Obama become the first black President of the United States of America! It proves that, if you're blessed to be able to wait on what's important to you, a lot of things will change in life." 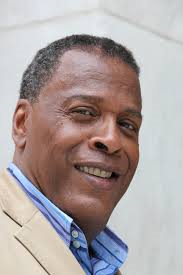 Meshach Taylor, the actor best known as the friendly colleague of four Southern women on the popular sitcom “Designing Women,” died on Saturday at his home near Los Angeles. He was 67. His death was confirmed by his agent, Dede Binder, who said he had had cancer for some time. Mr. Taylor played Anthony Bouvier, an ex-convict who starts as a deliveryman and eventually becomes a partner at an interior design firm in Atlanta, on “Designing Women,” which ran on CBS from 1986 to 1993. He was nominated for an Emmy Award in 1989 for his role on the show. In a career that spanned more than three decades, Mr. Taylor appeared in films, on television and onstage. He was prominently featured in the 1987 film “Mannequin” and on the television shows “Dave’s World” and “Buffalo Bill.” On Broadway, he played Lumiere, the talking candlestick, in “Beauty and the Beast” in 1998. He graduated from Florida A&M University in 1993. Mr. Taylor is survived by his wife, Bianca Ferguson; four children; and four grandchildren.